Internet cafes, or “convenience casinos” as they are sometimes called, have been described for years as thinly disguised gambling sites. But law enforcement officers have had difficulty shutting them down. Owners of the cafes maintain that the sweepstakes are promotional games — not gambling — in which winners are predetermined. 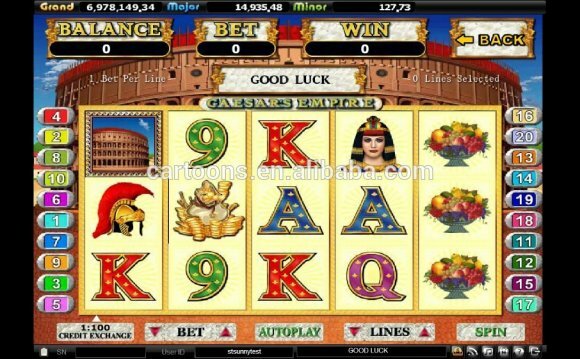 On Wednesday, a little more than two weeks after the N.C. Supreme Court declined to take up appeals in two electronic gaming cases, federal prosecutors announced an agreement with five software providers. Prosecutors agreed not to seek criminal charges if the companies agreed to cease operations in North Carolina by July 1. The companies are: White Sands Technology with nearly 180 locations; Sierra Software with an estimated 175 locations; TNT Software at 40 locations; Digital Reveal at 25 locations; and Figure 8 Technologies, which was at more than 200 locations before selling its software in January 2014. In a related announcement from the U.S. Attorney’s office, Walker said his office will close its criminal probe into HSV Entertainment, which has held a lease with the city of Roanoke Rapids to book shows and offer internet sweepstakes machines at the Roanoke Rapids Theater. HSV not only has agreed to stop operating sweepstakes at the theater, according to prosecutors, but the company also plans to stop doing business there. The theater was started by country-music entertainer Randy Parton, brother of major star Dolly Parton. Randy Parton got financial backing from the town to open the venue in 2007, but left Roanoke Rapids after a series of management mishaps and low attendance doomed the attraction under his leadership. Town government turned to internet gambling as a way to generate revenue from the theater. Lawmakers first banned video poker and other electronic gambling in 2006, but operators have adapted their games and fought in court to stay open. The agreement with the software companies announced on Wednesday comes after the N.C. Supreme Court denied petitions from the owner and manager of an Internet cafe in Tarboro. The owner and manager were convicted in 2013 of operating illegal gambling operations and the state’s highest court let those convictions stand. Because of that, top law enforcement authorities said the ban should be easier to enforce. Walker, the U.S. Attorney for the Eastern District of NC that spans from Raleigh to the coast, worked with the software providers to stop the cafes at the source.